With colleagues at the Melbourne Veterinary School of The University of Melbourne Pam Whiteley established Wildlife Health Victoria: Surveillance (WHV: S) in 2008. Pam has worked in mixed vet practice, was the first Vet then Vet/Curator at Healesville Sanctuary, then worked at the US National Wildlife Health Center in Wisconsin, CSIRO Australian Animal Health Lab in Geelong and at the Victorian vet diagnostic lab. She is an active member of the Wildlife Disease Association and WHV: S was re-elected to Wildlife Health Australia’s Management Committee. 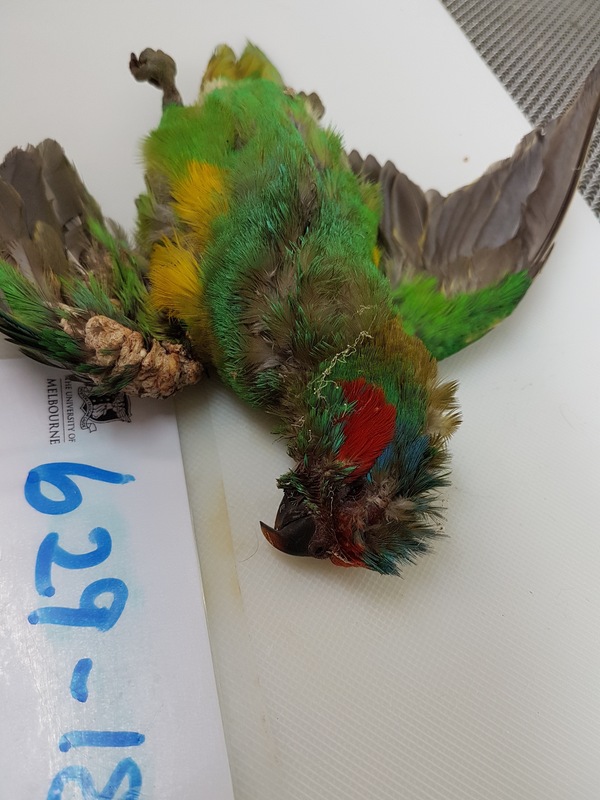 There is more background information about Wildlife Health Victoria: Surveillance on the following website (click here). The meeting is on Friday 12 October and will commence at 7.30pm at the Fellowship Room behind the Uniting Church on Lyttleton St, Castlemaine (next door to the Art Gallery/Museum). Everyone is welcome to attend and their is no cost for entry.